I might have found my favourite kabab joint in the city. The very thought of it is so profound that I’m scared to make a public declaration of it. Let’s not even call it a thought, it’s a — hypothesis. 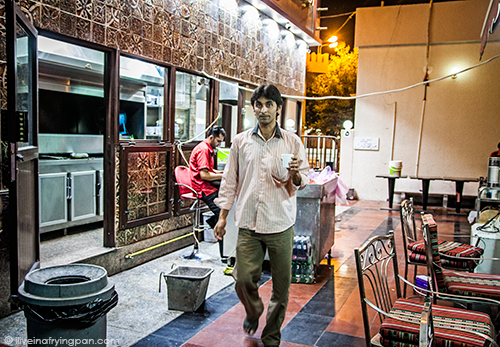 A hypothesis that despite having spent most of my life in this city, I might have only just been introduced to my most memorable platter of kababs, courtesy a small bachelor-style kabab haunt in Old Dubai. I still need to rigorously test the hypothesis (i.e. scarf down another fifty logs of kabab) before I can make things official. Now I’m not one to over-hype a meal, but it’s hard. It’s hard to underplay how the long mince kababs slipped off the skewer, sashaying into my plate like creamy ribbons of meat. Just touching the kabab made my mind go berserk with an undisciplined diarrhea of descriptions. SILK! HAREER! RAYSHAM! SOIE! As if a multi-lingual declaration can do justice to those ephemerally tender logs of meat. Unimaginably tender. Impossibly tender. I stared back at the plate incredulous. It looked too good to be true. This is the stuff that grandma’s kitchens, that royal feasts, that anticlimactic moments – the last so annoyingly abundant in my life – are made of. 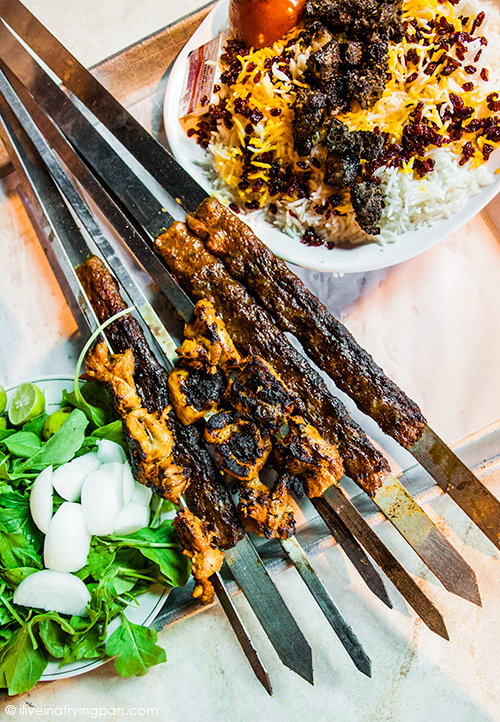 But when I tasted those fantastically textured kababs, it was at that moment that I KNEW…or rather, that I developed this hypothesis that twenty-seven year old Fareej, located in an obscure backstreet of Dubai, might have just served me the best minced lamb kababs I’d ever tasted in the city. From the salty onion seasoning knitted through the scalloped sections of mince to the moist supple bellies of the kababs, everything is as I had imagined it to be whilst de-skewering the meat. The taste rivaled the touch and quickly overshadowed it as nothing else mattered but moist chunks of grilled mince swaddled in tender, appropriately chewy patches of Iranian lavash bread. Against my impulsive desire to plaster this hypothesis across every social media wall that very night, I held off. I slept over the thought for three days. Then returned for another taste on the fourth day, this time with my trusted fellow kabab connoisseurs. Same reaction. Slept over it again for a week. Ten days. Two weeks. And now, a month and a lot of sleeping later, the very thought of those kababs still doesn’t fail to reduce me to a hopeless drooling mess. If only the story was over with those minced lamb kababs. But the juicy knobs of boneless chicken, the charred tart crust of the lemon lamb tikka, the egg and cheese crepe-like regag (order it with 'double cheese'), and the sweet black tea (brewed over the stove top rather than a watery teabag concoction) – each of them are different chapters in a story that deserves to be savoured over and over again. Even the white rice pilaf with plump barberries was addictive, a word that I rarely ever use to describe rice. I nestled the fluffy grains and bright berries into pungent rocket leaves to attempt a ludicrously flavourful ‘rice sandwich,’ my heightened sense of food ecstasy unleashing a creative dining license I never knew I had. If succulent kabab sorcery wasn't enough, the price of savouring this fantastic meaty show was nothing more than 160 dirhams. For five people. For about fourteen skewers of kababs, two egg and cheese regag (pictured below), two rice pilafs, lavash bread and tea. And greens and yoghurt. With the tip included. Think I'm done with my profuse Fareej flattery? Here's one more perk to take things to a whole new ludicrous level. Thanks to Ali who introduced me to this place, I learned that the servers spread carpets near the park fencing across the restaurant so you can enjoy your kababs by the greenery—and feed the ducks and peacocks that might occasionally peek out of the fence for a bread nibble. Seriously. I've re-read this post many times, and I myself find it reeks of hype. It's the talk of someone who routinely has depraved meat delusions. Who is misguided with wild and hungry hallucinations. Who is tormented by lusty food dreams. But if it is, if it is just a lusty food dream, then leave me alone. I'm not waking up anytime soon. Al Fareej Sorry for being a food-tease, but I can’t tell you where this place is because we plan to feature it on our secret Morning trail at Frying Pan Adventures. Such is the corporate gag of secrecy. I'll eventually release all the juicy location details, once the new trail becomes not-so-new anymore. 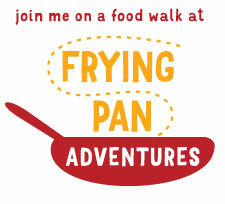 Or shameless plug, join me on the trail to find out. And for those sleuths among you who're jumping on Zomato this very second, Zomato has two Fareej's listed, neither one is in the area I visited. You may find small knobs of fat alternated with your tikka-style kababs (small boneless chunks of meat). Offended? Don’t be. Chewy nubs of blubber might be damning for some, but a delicacy for others. And mind you, it is a delicacy for many others across kabab-loving parts of the Middle East. So be culturally sensitive and skip the fatty fuss. While the marble sinks and blow-your-fingers-off power dryer in the restroom are very 21st century, you enter a time capsule when you stumble into Fareej’s old-school Indian WC. Squatter-haters, you’ve been warned. The complimentary lavash bread is served at room-temperature. 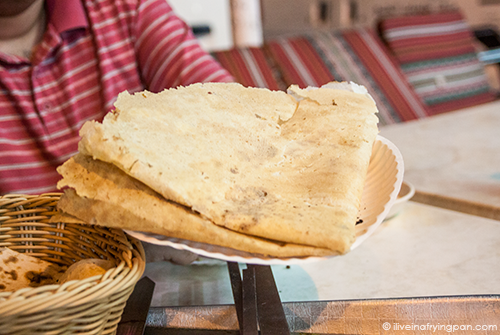 You can request hot lavash, and they will gladly bring you more lavash at—room temperature. Everyone eats on the tables outside, some of which face massive industrial-sized fans that will relentlessly blow the bread off your kababs. Ask the servers to adjust the vents rather than succumbing to the hurricane. Fareej has only one indoor dining room – literally, a room where you can sit down on the carpeted and cushioned ground to enjoy your kababs should you be irrationally averse to eating al fresco. Not all the servers actively serve. Just because you have a server slouched on a cushion facing you, do not assume that a hand-wave will mobilize him into refilling your bread basket. Remember the server who took your order and only reach out to him to avoid looking like a crazed waving kabab-craving lunatic. You can have dessert at the Omani Halwa place next door. Even if you’re full, walk past and sniff enough cardamom and cinnamon in the air to get a spice-high. And yes, you really can ask for your kababs to be served on a carpet by the park fence and catch a glimpse of the ducks and peacocks, or hear them make their birdie sounds at night. Really truly. Oh come on!! I kept scrolling up and down trying to find the place and making sure I didn’t miss it! Sounds delicious. Have the morning tour booking dates been made available yet? Popped over to the website but couldn’t see any and wondering if I missed spotting them. Hey Dee! We’re scheduling the morning trails post-October on demand. We have one on the 18th of Oct, but if there’s another date that works better, just let us know and we’ll try to make it happen! And that is exactly what it is coralcrue…except that the ambiance is a very different kind of ”heaven” than what most people expect. That said, the best eats are buried in some real down-to-earth dives of the city! It is Choc Chip Uru, and after my visit earlier this week with some friends, I think I’m ready to officially call it my favourite kabab joint in the city! Maya, first of, welcome to my blog. I am sorry that you are having a dismal day, but let me suggest a few books to help you understand what Kabab and lavash are so that your trolling on future sites is marginally better informed. I would recommend reading Najmeh Batmanglij as well as Nawal Nasrallah to understand what a Kabab is and how it can be prepared, including the kofta or minced style. You should be able to find info on lavash too in there. Let’s also throw in Alan Davidson’s Oxford Companion to Food for good measure. 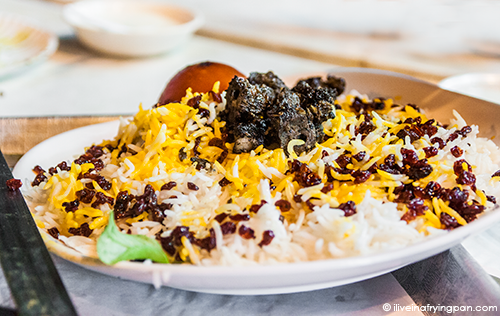 You are right that you can never know what kind of meat is used in a mince, which is why you are best off mincing your meat at home and staying worlds away from one of Dubai’s best Kabab haunts. Mind you, you would be depriving yourself of one of the incredible, ecstasy-inducing forms of mince Kabab to grace the planet – kubideh – but that probably doesn’t matter because trolls get ecstatic by feeding off of a totally different set of things than most normal people. 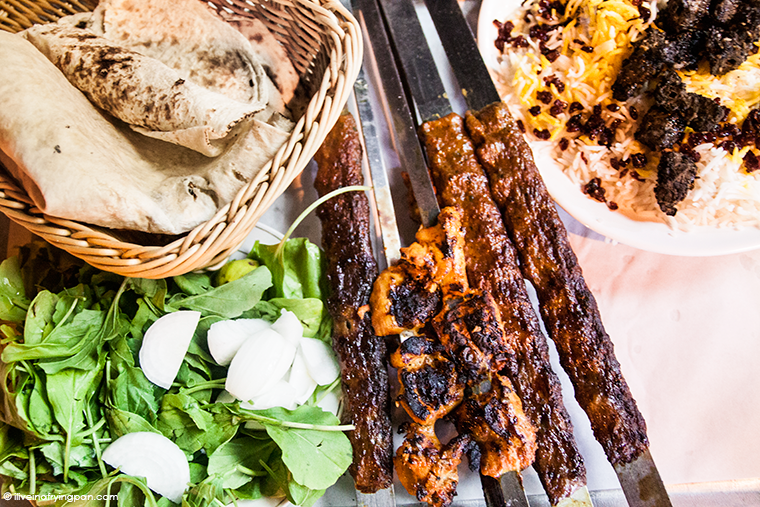 My advice to you on ‘testing’ a Kabab is to ‘taste’ it – not look at a photo and draw your conclusions (unless your monitor has supersonic taste-transmitting powers – in which case do share the brand as I’d kill to own it myself.) Not only will this visual verdict strategy cause you to make baseless conclusions, but will also leave hungry and frustrated because you’re grimacing at a (probably non-taste-transmitting) computer screen rather than going out there and trying something new. Thankfully in this case, I have spared you the location of this God awful burnt kabab place. All the better, since ‘burnt, ‘ suspiciously-minced and brilliantly juicy, silken kababs are best flung on ignoramuses like myself. I read your blog around exactly the time it was published and have been on a frantic search since then, FINALLY found it about a week ago. I just have to say, there was nothing hyped up about this. I was definitely in kabab heaven at that point. I dont think I have ever had better lamb kababs. the kunafa afterwards was just cherry on the cake. WOW. After some research and analysis of your post, my husband and I finally found the place 2 weeks ago. We ordered the mixed grills and the kababs were delicious indeed! The meat tikkas we had there were the best ever and so unique but subtle in their flavors. 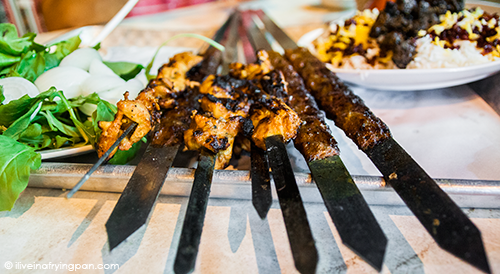 I have a problem now – no other kababs will do! We could not try the halwa because the place closed just as we sat down for dinner – maybe next time. Thanks for this wonderful find! How can I discover where this is?! I’m planning my first trip to Dubai in March and I have to try these kababs. I’ll be using your blog to plan all my meals for those few days! And thanks for the kind words, really hope to meet in person when you visit the city! Kat, it’s actually as easy as searching kabab on Google Maps app and locating the one near a park in Deira. I just spent 45 mins on the metro to get here, and it was worth the trip. Thanks IFP. So are you giving away this place now? Its 2015… and you mentioned you would take a few moths to release it. I am wondering the same >.<! Want to know the name of the place :-)! I have been in Dubai for a few months now and love discovering hidden gems. I have only tried Kebabs in a few office parties at high-end places like Wagamama , but this looks so quaint and delectable. Omg, this truly feels like Dubai!